For those of you who remain loyal readers and supporters of "Bedrock Dreams" it's no secret that I tend to err on the side of caution when it comes to advising you to keep your gold recovery expectations in check. You've also heard me say time and time again what very hard work gold mining is and how difficult it is to make a living as a small-scale miner these days let alone "strike it rich." That's the bad news. Now here's the good news. Rich gold finds are still out there. Yes, you heard me right. One hundred and sixty two years after James Marshall found a small placer nugget in a sawmill tailrace at Coloma, California triggering the greatest mass migration of all time, rich gold finds are still taking place in California and other gold-bearing U.S. states (as well as in other countries). Just last year a nugget shooter used his gold detector to uncover a placer nugget near the old desert mining town of Randsburg, California that weighed in at 8.7 troy ounces. Minimum value of this nugget? A cool ten grand ($10,000 USD). Many large, multi-ounce nuggets as well as small but rich pockets of placer gold have been recovered in recent years at a number of "pay-as-you-go" mining locations in Alaska . 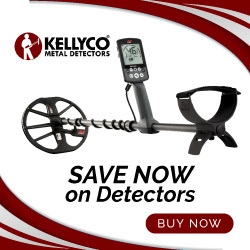 A few years back a die-hard Mexican miner using a "cheap-o" Radio Shack metal detector uncovered the now-famous "Boot of Cortez" nugget that weighed in at a whopping 389.4 troy ounces and sold at auction for $1,543,000 ( yep...a million and a half USD). 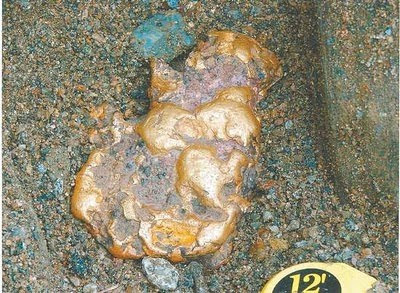 Not all that long ago a miner/treasure hunter using his detector in a gold-bearing stream in North Georgia uncovered a huge, multi-pound mass of gold in quartz that he thought "was a piece of old wrecked car or something" due to the size and strength of its detected signal. Value? Undisclosed but I suspect in the hundreds of thousands of dollars at the very least. In addition to these examples , there have been literally hundreds of other rich finds in the past 2-3 years alone, many of these not publicized (for good reason, by the way). Through the mining and treasure hunting "grapevine" I've been alerted to a number of these finds. Some of these finds were nuggets while others have been chunks of gold ore and yet others small but substantial ($$$) gold placers .Where are these latter finds taking place? Try California (both desert placer areas and in the Motherlode Region) Arizona, Nevada, Idaho, Alaska, Oregon, and Montana for starters. Yes, my friends, rich gold finds are still out there. I'll discuss some of the issues regarding making your own rich gold find in a subsequent post. Until then, good luck out there.